This collection of stories centres on the idea of ‘accidental death’, and the upheaval caused in the lives of those who lose a loved one in this way. Several of the cases examined here turned out, on investigation, not to be accidents at all. Some were crimes. Some remain unexplained; others were shown to be just what they appeared to be. What connects them is what happens to those involved: suddenly, grieving people are thrown into the spotlight. There is no privacy and nowhere to hide. Like it or not, and often through no fault of their own, these people become part of an investigation, subject to the scrutiny of police, media, the courts, and the court of public opinion. I love a good true crime book, and have read a couple of offerings by this author in the past. Accidental Death? when things may not be as they seem by Robin Bowles, doesn’t disappoint. It’s an engaging read, which is a little sad to say when you consider the topic. 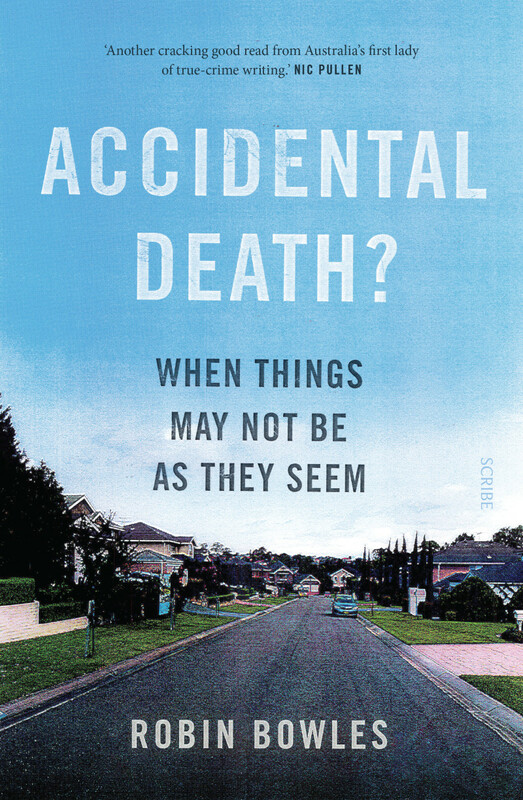 The Author has researched and written about a collection of some of the more charming cases of accidental death in recent Australian history. Bowles provides the reader with examples of possibly genuine and tragic accidents, those with suspicious circumstances, and others that are just a little odd. She sensitively discusses the devastating consequences that a lack of evidence and certainty has on the family and friends of victims. Well researched and fairly executed. A must read for true-crime aficionados.